shine brite zamorano: a colorful beginning. I can't believe (but really I can) that I haven't posted for almost 2 months! That is, by far, the longest break I have taken since I started blogging 5 years ago. I'm recharged and ready to see what fab things my kiddos will explore and create this year. We are off and running at Zamo and this week I have meet with all of our 3rd-5th classes (23 in all). The first week of school is different for me because my art rotation partner starts a week later than I do, so I modify my schedule. 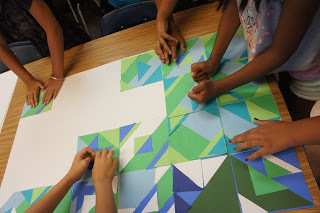 I meet with classes for only 30 minutes and during this time I review my classroom rules and expectations and have the students participate in a collaborative art project that gets installed in our auditorium at the end of the first week of school. This is the 5th year that I have structured my first week like this... and I love it! These projects are low stress for the kids and have a big visual impact on our physical environment on our school site. 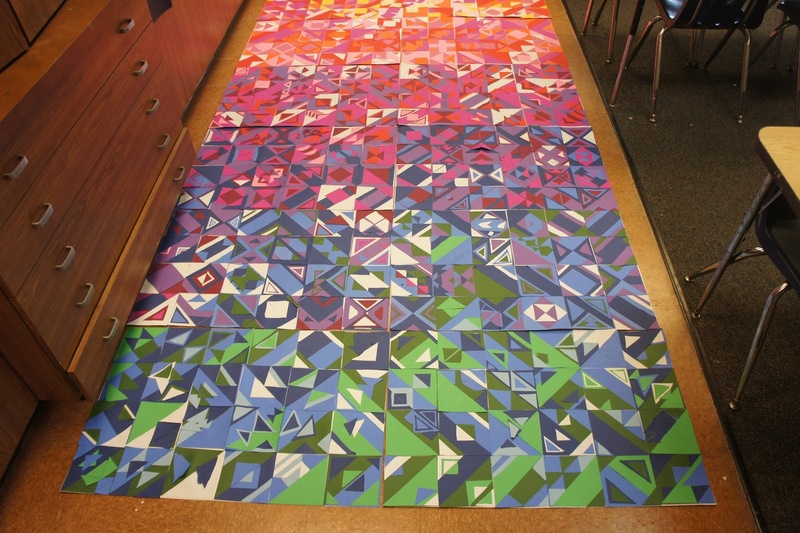 With these projects I emphasize unity and variety in art and the school community. 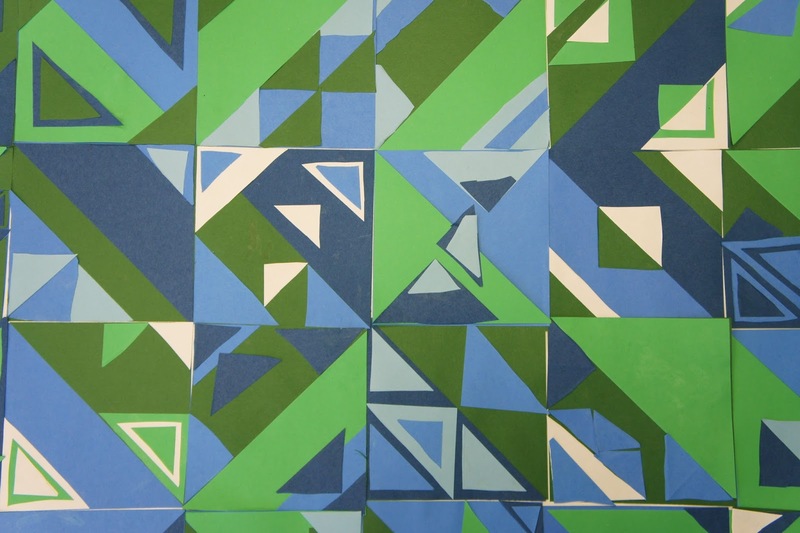 I recently wrote about last year's project for Arts and Activities and presented it at the winter AOE conference with Nic Hahn of Mini Matisse. 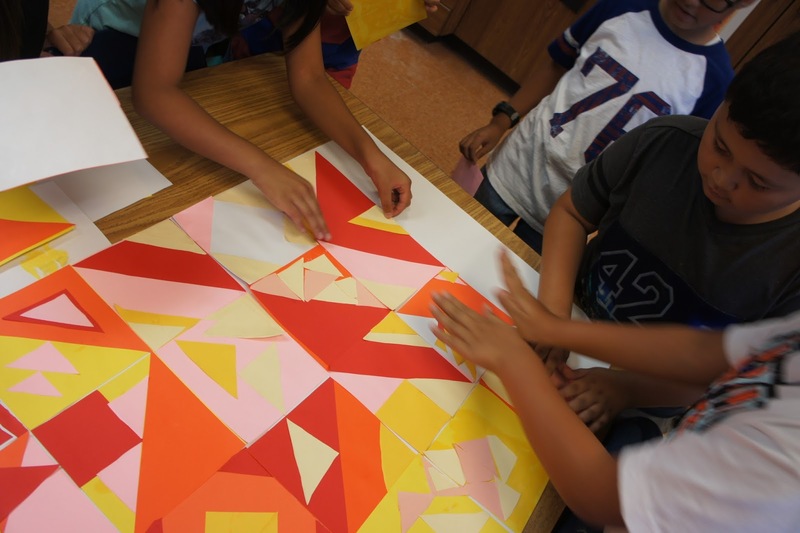 My curriculum centers on living artists, so I introduce students to a new artist with these lessons who has a strong sense of visual pattern in their work. 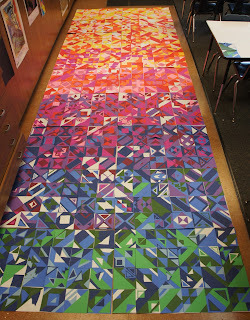 This year, I used the quilts of Libs Elliott as the inspiration for the project. Her work is amazing! I came across her work on instagram early last year and I knew her work would lend itself so well to my opening week theme. All of the artists I've used previously have repeated a circular element and this year I wanted to break out of that and share an artist who plays with different shapes. In Lib's case, it's all about the triangle. Her design approach is quite interesting. "All the quilts are randomly designed using a programming language called Processing. The project began in 2012 as a collaboration with designer and technologist, Joshua Davis (joshuadavis.com), who provided the original code framework. 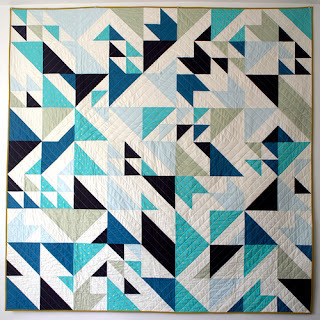 Using Processing allows me to quickly edit the code and generate random compositions from simple geometric and traditional quilt block shapes." 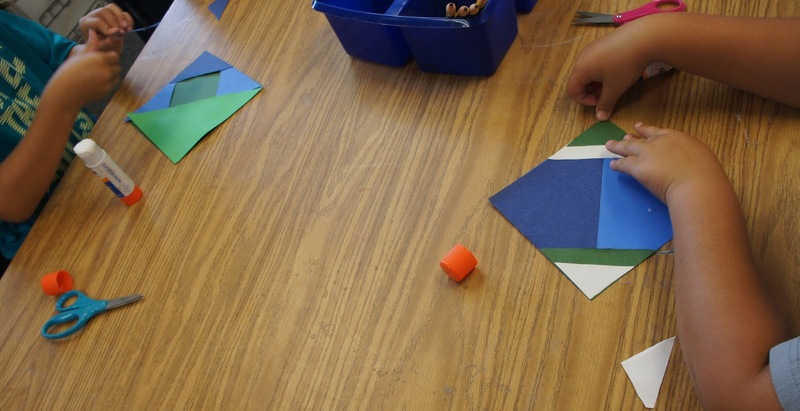 unity, variety, and Lib's work- how it's a great example of both of those concepts, and 15 to fold, cut, and glue. Boom. It's a hectic week, but it's so cool to see the kids variations on the theme and to see the collaborative piece grow and grow. 7. when they are satisfied with their design, they glue it in place. 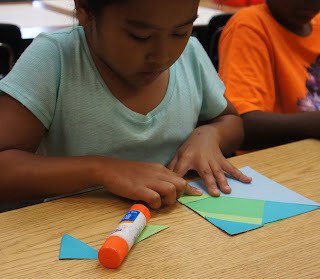 I show them how to leave things where they are and do the gluing on the paper square. Glue the small onto the medium, medium onto big. This way my tables don't get quite as funky with glue. 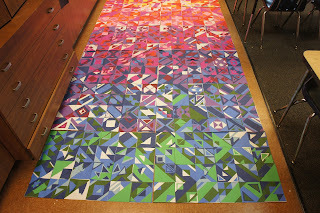 8. they put glue on the back of their quilt square and bring it over to the 24x36" white sheet in the middle of the room. 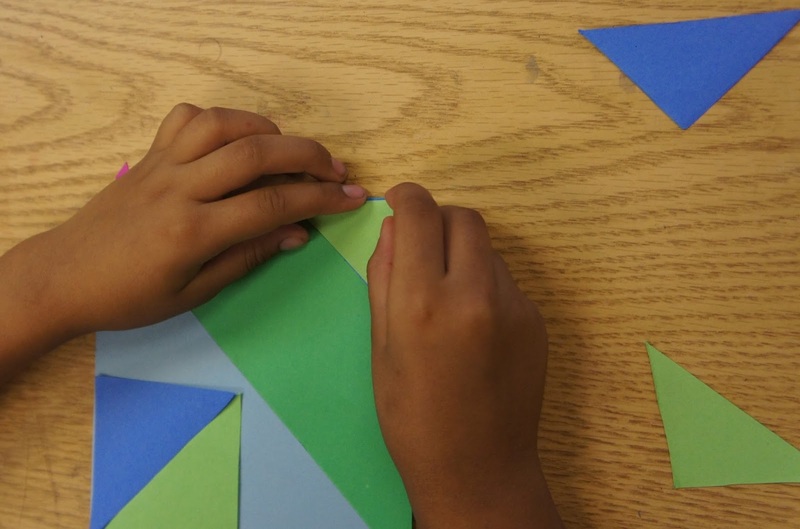 Students are responsible for looking at their design and what has been laid down before them and to decide which direction their piece will face and where it will be located in response to those factors. 9. clean up and scram! It's tight. I have 10 minutes in between each of the classes, which allows kids not done to have a few extra minutes and for me to get paper out for the next class. the amount of detail varied depending on grade level. UH-MAZING! So simple and yet so elegant.....You are the MAN!! I saw your fb post and ran with it today... cut 5x5 squares and gave each table a basket of analogous colors to design their square. Thanks for the idea! hey there. awesome! i'd love to see what y'all do with it. can you take photos and share it with me when you're done? Gorgeous!!! I'd like to try to do this with my students too, so it sounds like I need to begin the planning stage. It is very evident that you were very thoughtful and deliberate while planning this collaborative project - with spectacular student results! hi kathryn. the planning isn't too bad. 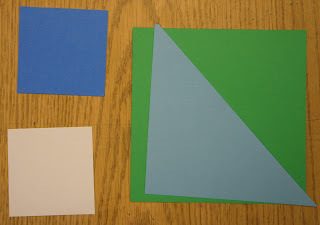 a couple tips for the transitions- when i introduced new colors i did so with the small squares, then moved them to the large triangle and/or square, then back to a small square, then out. also, i always made sure when transitioning that 2 or 3 of the colors were the same as the previous grouping. have fun and share what you do! I ended up planning out which colors to use for each colorway. I had nine classes of third, fourth, fifth, and sixth altogether. Then let the classes choose which colorway they wanted to use. They had a selection of colors within the colorway for their 6 x 6" square, 6" triangle, and 2-3" squares, they could/had to cut some of the larger pieces and use all of their pieces to create their paper quilt square. It turned out amazing! Thanks so much for the idea and suggestions. I've posted a pic on Art Teachers Facebook page. This looks fantastic. I am totally inspired. I was wondering if you could let me know how you managed to stick it to the wall and keep it there. I'm guessing there's a bit of weight on each sheet. I love the color gradation created in the large mural!! Love it. 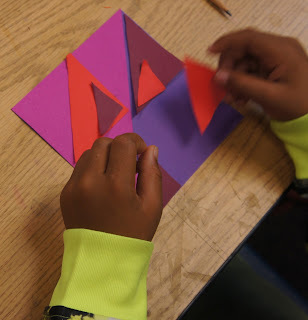 I did something like this a couple of years ago, but the process I used was way more complicated, and way too complicated for the students, so I have not repeated it. This has me wanting to go back and try it again. So fantastic!! Congratulations to all the students on a wonderful collective work! We started our paper 'quilt' today. Thanks for a such a fabulous idea.....my students are loving it! wow! your plan sounds great! I love the added content you are addressing with it. 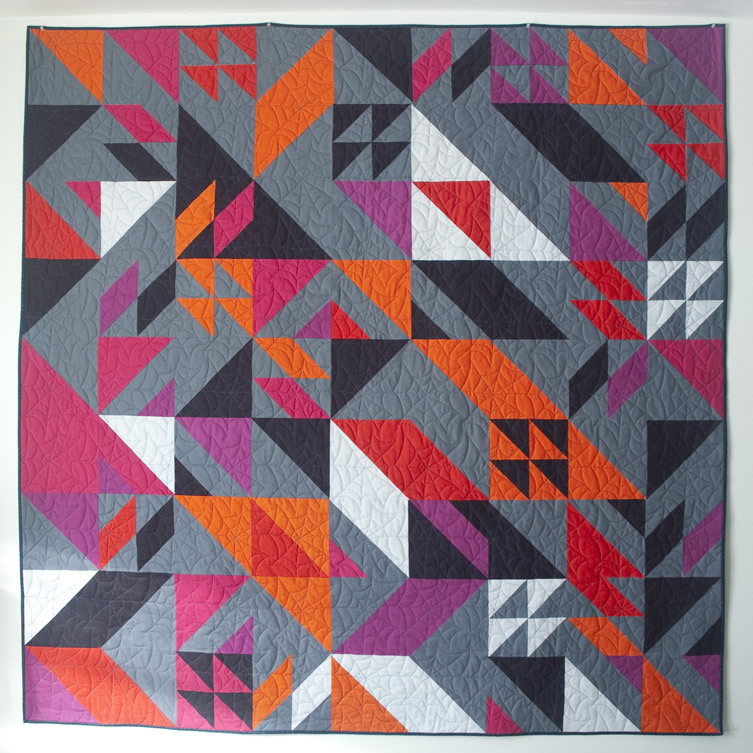 Thanks for the link to the quilt exhibit. I'll make sure to follow along at your blog! Will post how it turns out. Thank you for the instructions and inspiration! Very cool! Hope you had fun with it! I have loved this project for a very long time, but even with your advice, I just can't get my head around planning it with the different colours. A shame because I'd love to do this as a big collab at my school! 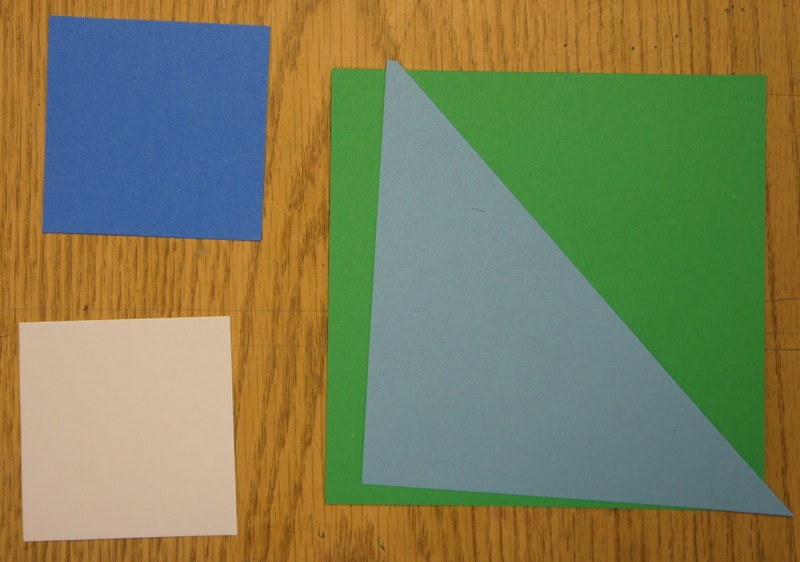 I had each class work with one set of colors, as classes changed, I would transition from one color fam to another. When I would add a color I would also remove the color that had been in the larger composition the longest. Might that help? If not, let me know! Can you possibly give your color plan? I can't quite tell from the photo, and know planned it out very carefully! I love it, and want to begin with it, this year! If you could say what you began with, and what was in each group, it would help immensely. If not, I'll keep working on it! I started with yellows & oranges and proceeded thru the color spectrum until I ended with yellows and greens. Hey I know it's been a minute since you made this post.. but I think I'm going to attempt it this year with my kids. Any advice on how to hang up it when it's done? Hi! I wanted to do something different with my 5th grade art students this year for the first week of school... AND I needed to get something on a bulletin board. It is on a much smaller scale but still looks beautiful! We are almost finished and it is a success! Thank you for this well thought out lesson! I will try to send a photo, if I can. I wonder if this could be adapted for younger grades? I love to have a school wide collab but I’m not sure how it would go for kinder and 1st.